DAS upgrades its fleet with protective hard-sided motorcycle transport trucks. Dependable Auto Shippers (DAS) announced the addition of special hard-sided motorcycle shipping carriers to its vehicle relocation fleet. The new enclosed trucks ship motorcycles safely and efficiently, protecting them from inclement weather and other open-air transport hazards. DAS is the country’s largest privately held vehicle relocation company, shipping private- as well as dealer- and corporate-owned vehicles almost anywhere in the world. The new hard-sided motorcycle transport carriers make a welcome addition to its $30 million, 200-truck transport fleet. "We are very pleased to announce the addition of our enclosed motorcycle vehicle transport trucks. Motorcycle owners take pride in their machines and we like to know that we are offering the best protection whether we're shipping a single bike or a hundred bikes across the country or across the world," describes John Roehll, Executive Vice President for Dependable Auto Shippers. As a large and reliable vehicle transport company, DAS is a sound choice for private parties in need of motorcycle and auto transport services. With over 50 years experience in the vehicle shipping industry, and a policy of integrity, reliability, and customer satisfaction, DAS offers particularly responsive care and high professional standards. 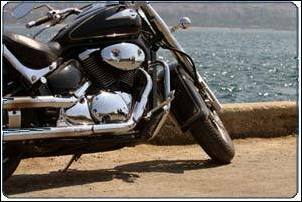 In addition to shipping motorcycles, Dependable Auto Shippers transports cars, trucks, ATVs, vans, recreational vehicles, antique cars, custom cars, boats, planes, and other specialty vehicles. It also offers state-of-the-art satellite location tracking of all its vehicle transport carriers, one of the features that makes DAS the car shipping and relocation vendor of choice for the majority of Fortune 500 companies. Known for its customer service, Dependable Auto Shippers likes to say they "pamper your vehicle like it was their own." In fact, its services have been frequently commended by the industry. In recent years, DAS has been granted numerous awards for industry leadership and excellence in service. Honors include The GlobalNet® Service Partner of the Year Award; Cendant Mobility’s People’s Choice Award, Dupont’s Overall Performance Award, and the Worldwide ERC Global Mobility Specialist GMS Award for its VP of Corporate Accounts. Dependable Auto Shippers (http://www.dasautoshippers.com) is the United States’ largest privately owned provider of vehicle relocation services. DAS ships approximately 2500 autos daily on its fleet of over 200 auto transport trucks. Founded in 1954, Dependable Auto Shippers operates from its headquarters in Texas, with branch offices in New Jersey, California, and Florida. Using a network of 95 terminals worldwide, DAS ships cars, trucks, vans, and motorcycles around the world. For more information about auto shipping with DAS, visit http://www.dasautoshippers.com.